Planning a trip to Boston? I've created this 10-step Boston Travel Guide to help you map out the perfect vacation based on what you want to do - plus I include lots of tips to keep your Boston trip affordable. My Boston Travel Guide, a 10-step vacation planner, will save you time and money by helping you find . . . Unique local restaurants, including my favorite Boston "cheap eats." Of course, if you want to spend more, you certainly can. Stay in a luxury waterfront hotel, splurge every night on dinners in our top restaurants, get the best seats for a Boston Red Sox game - but you don't have to in order to have a wonderful time in Boston. What's important is to understand all the choices - where to save money, and where it pays to spend money. You can easily save up to 50% - sometimes more - with Boston discount cards for sightseeing attractions, tours, cruises, museums, and day trips. The decision to get a card is a no-brainer - plus you get benefits in addition to the money you save. Find out how to compare Boston discount card choices and choose the best. Now that you've picked your top attractions in Step 2 and chosen a sightseeing discount card in Step 4, it's time to choose other Boston sightseeing activities such as tours, cruises, and day trips to Salem, Concord, and Newport, where you'll find even more attractions. The good news is that your sightseeing discount card may give you free admission to many of them. Now you're ready to arrive in Boston! Here are tips about packing, what kind of weather to expect, how to get to Boston from Logan Airport (fast, easy, and cheap ways - plus more expensive options), and other practical information. Plus, tips about where to get the best maps. You'll find plenty of Boston restaurants to suit every taste and price range - so combine Boston cheap eats with fine dining to fit your budget. Twice a year, meals in Boston restaurants go on sale during Restaurant Week. Boston nightlife provides plenty of fun things to do in the evening. From Newbury Street boutiques to designer outlets at Wrentham Village, shopping in Boston offers plenty of excitement. My shopping guide for tourists shows you best places to find top designer fashions, "insider secret" bargains, antiques, indie arts and crafts, and even the best prices on Boston t-shirts. I decided to put this Boston Travel Guide together after discovering that lots of people were missing great discounts, making their vacations more expensive than necessary, and then trying to save in ways that eat away their precious vacation time, such as looking for less expensive hotels far from central Boston. you the best ways for making your travel arrangements while saving money, finding attractions you want to see and things you want to do, booking a convenient hotel in your target price range near your top attractions, and getting big discounts, half-price tickets, free maps, and even free admission to events and museums. I'll also show you a few areas where you may want to splurge (and with all the money you'll save with my other tips, you'll be able to afford to). This includes some awesome places to shop - plus my "Boston Insider" tip about where to find the cheapest Boston logo t-shirts and Red Sox caps! Famous historical sites, world-class museums and music, beautiful parks and waterfront views, lovable sports teams, a thriving theater scene . . . plus special events such as the Boston Marathon, Patriots' Day, July 4th fireworks and Pops concerts, First Night . . . not to mention our excellent chef-owned restaurants and Irish pubs - with so much to do here, planning a Boston vacation can seem hard. How do you fit everything in? With so much to choose from, you can't do it all (unless you move here, like we did) - so the key to a fun vacation is to pick the things to do in Boston that interest you. This Boston travel guide shows you how to plan your Boston vacation in 6 easy steps, with lots of my "Boston insider" tips about how to save money and make your trip affordableOf course, just for fun, I'll also mention a few ways to splurge - but only if you want to! Around 50 domestic and international airlines offer flights in and out of Boston Logan Airport. That adds up to a lot of competition - and that means cheap flights to Boston,especially if you have a little flexibility about your travel dates or travel times. In general, airline fares to Boston tend to be lower during cold months, and higher during warm months - and around special events such as the Boston Marathon, and any time that the 300,000+ college and university students who temporarily call Boston "home" return to the city - usually around Labor Day (early September), after Thanksgiving, and after Spring Break in March. Booking as far in advance of your dates is normally best - but if you don't, look for last minute flight deals at Expedia.com. Getting to Boston by bus is another option, especially if you're coming from New York. Several companies service this highly competitive route - so Boston - New York bus fares can occasionally drop to as little as $1 each way. 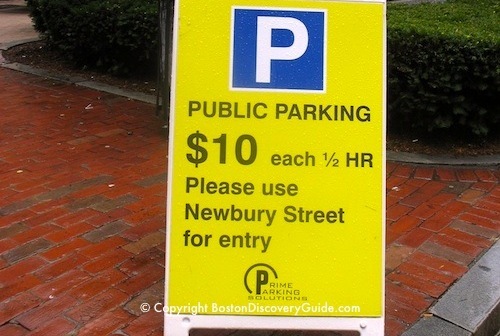 If you plan to drive to Boston, you'll need a strategy for parking so that your parking fees aren't higher than your hotel bill. 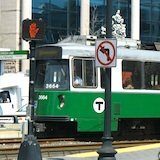 The easiest and cheapest option is to leave your car securely parked and take the T into the city. Check out my tips for how and where to park affordably. The next step is to choose your main activities for your visit here - the major attractions you want to see, the things you want to do, any events, shows, concerts, or festivals you want to attend, and anywhere else you especially want to go in Boston. No need to figure out all the details - just pick 2 or 3 must-see, must-do attractions. Why do this now? Once you know where they're located, you can pick a hotel conveniently close by. If you've been to Boston before, you may already have ideas about what you'd like to see or do this time. But if this is your first trip to Boston, you'd probably like a few suggestions. A good place to start is with Boston's top attractions - the Freedom Trail, Fenway Park (home of our awesome Red Sox! ), the Museum of Fine Arts, shopping along Newbury Street in our Back Bay neighborhood, and other must-see, must-do attractions. Or you could glance at all Boston attractions, and hone in on those that seem most interesting. Our Boston sightseeing map shows you locations for all Boston neighborhoods and major attractions in each one. Helpful to know: Distance from the North End to Fenway is less than 3 miles. Downtown Freedom Trail sites - Start at Boston Common, stopping at the sites along the way that interest you the most: perhaps the Granary Burying Ground with graves of many Revolutionary War heroes, austerely beautiful King's Chapel where you can also enjoy an almost-free noon concert on most Tuesdays, or if you're traveling with children who may be studying American history in school, the Old State House Museum. End at Faneuil Hall, and enjoy the shopping in the Quincy Market complex. Or pop across North Street, where Boston's oldest historic taverns and pubs line the narrow lanes. I love the Colonial-style dining rooms (and lobster roll) at Union Oyster House, and have recently discovered Saus, a new Cheap Eats favorite nearby. Worthy detours near the Downtown Freedom Trail sites: Boston's Victorian-era Public Garden (across Charles Street from Boston Common) - a "must" if you're traveling with children who'll want to see the Make Way for Ducklings statues and go for a Swan Boat ride. Near Faneuil Hall, the New England Holocaust Memorial attracts older teens and adults. If you're traveling with younger kids, walk over to the Greenway, where you'll find a vintage carousel during warmer months. Really young children will love the splash fountain on the Greenway across from the North End. North End Freedom Trail sites - Paul Revere's house, Old North Church, and Copps Burying Ground provide fascinating glimpses into history for older teens and adults (younger kids may be bored) - but the North End itself is part of the real attraction along this part of the Trail. Worthy detours: Enjoy a wonderful meal in one of the neighborhood's Italian and seafood restaurants, sip an espresso at one of the bakery/cafes, and on summer weekend evenings, join others at a North End feast celebrating patron saints. Charlestown Freedom Trail sites - Free tours of the USS Constitution and a nearby World War II destroyer in the Charlestown Navy Yard, and a small but interesting museum across the street from the Bunker Hill Monument make this part of the Freedom Trail a favorite with kids and adults alike. An outdoor park around the ships, another small museum, and a children's playground mean that you might spend a lot of time here. Worthy detours: Lunch at the Warren Tavern, the first building erected after the British burned Charlestown and named in honor of a revolutionary hero, or at Tavern on the Water overlooking Boston Harbor. Boston's sightseeing cruises show you a unique side of this waterfront city you won't see on land. Many visitors rank them at the top of what they enjoyed most about their trip. Even living here, I still enjoy going on them, and learn and see new things each time. You can choose from a big variety of sightseeing cruises in Boston Harbor, the Charles River, and beyond - plus whale-watching cruises and even trips to the Boston Harbor Islands, only 15 minutes from downtown. Almost all of them depart from the Boston downtown waterfront. Boston Duck Tours provide a different twist - half on land, half in the water - and take you past a surprising number of famous sites. And you should also check out other Boston tours. Boston trolley tours provide transportation from site to site, as well as fun and entertainment. Be sure to choose the kind where you can get on and off whenever you please. If you're visiting Boston with kids of a certain age - let's say about 3 to 10 - the trolley rides can be the easiest way to get around the city, but they're fun whatever your age happens to be. Boston's thriving Theatre District offers a mix of touring Broadway shows, local productions, dance performances, and even comedy clubs. Thanks to millions and millions of dollars spent restoring the theaters in recent years, they're absolutely spectacular. Tickets to all but the hottest shows are usually easy to get - and in Step 4, I'll tell you how you can get tickets for many performances for half-price. In the summer, Shakespeare on the Common enchants audiences for almost 3 weeks with free productions under the stars. If you're visiting Boston in late July or early August, it's a magical way to spend a summer evening. If your idea of a great vacation involves attending a sports event (or more), you're going to love visiting Boston. With the Boston Bruins, Boston Celtics, and of course, the Boston Red Sox playing their home games right in the middle of the city at TD Garden and Fenway Park, not only are games scheduled for year-round, but they're also easy to get to. The New England Patriots play south of Boston at Gillette Stadium, 22 miles away - but you can take the "Patriot Train" right to the stadium. Even with home games scheduled year-round, it's still possible to visit Boston on a day when our Boston teams are elsewhere - but sports fans, don't despair! A Boston team is sure to be playing somewhere - so you can do what Boston locals do and drop by one of our many Boston sports bars, where the big screens will be showing our players in action even though they're away. Or, for a special experience, you can go on a Fenway Park tour. With over 30 major museums in Boston and adjacent Cambridge to choose from, you can easily find a museum to fit every interest . . . history, sports, technology, art, science and natural history, and even historic houses. The most popular - and most expensive - of Boston's major museums are the Museum of Fine Arts (the new Art of the America's Wing alone makes it worth a long visit), the Museum of Science, and the New England Aquarium, with the Natural History Museum in Cambridge and the Children's Museum almost as popular. Fortunately, you can visit for roughly half-price - more about that in Step 4. Other lesser-known museums with stellar collections include the Rose Art Museum at Brandeis University in Waltham (easily reachable by Commuter Rail), the MIT Museum in Cambridge, and the New England Sports Museum at TD Garden. The Isabella Stewart Gardner Museum, housed in a mansion designed to look like a Venetian palace, offers art, ambiance, and usually concerts on Sunday afternoons. If you're visiting Boston for a family vacation with your children, you'll want to make sure you include activities for them. Check out my list of 50+ Boston kids activities for indoors and outdoors, winter and summer - all of them well-tested by my own kids! Here's my best sanity-saver tip based on being a mom in Boston: weather here can be tricky, so for every outdoor activity that you choose, also pick an indoor back-up - and when all else fails, head to Kings. - beautiful any time of the year, plus it's Cross back over Charles Street (or, if you love antiques, stroll down it for another detour into Beacon Hill, where many of Boston's best antique shops line the 6 or 8 (depending on which side you count on) Charles Street. The good news is that most top Boston tourism attractions are located within a relatively small area; the distance from Paul Revere's House in the North End to Fenway Park is less than 3 miles. The next step is deciding where to stay in Boston. This is actually easy, because most Boston tourism attractions are located in central Boston neighborhoods, and that's also where you'll find most of the hotels. Unlike a lot of airports located an hour or two away from their destination city, Boston Logan International Airport is only 7 minutes away from Long Wharf in downtown Boston - if you take the $10 (or $17 round trip) water taxi. You can also take a land taxi . . . if you want to have a longer trip and spend more money. Or, you can do what many Boston locals do and take the T (that's what we call the Boston subway system, also called the MBTA). You'll see signs in the airport pointing the way to the free shuttle bus, which will take you to the nearest T stop about 5 minutes away. If you're staying in central Boston, there's sure to be a T stop nearby. You could pay the single-trip T fair of $2 - but a much better deal is the 7-day visitor pass for $15, assuming you use the T to get around while you're here. Getting here by bus is another option, especially if you're coming from New York. Several companies service this highly competitive route - so Boston - New York bus fares can occasionally drop to as little as $1 each way. Always be sure to read the fine print . . . that's $10 for every HALF HOUR of parking! Another good option is to rent a Zipcar by the hour. If you living in one of the other North American cities or London where Zipcars are available, you may already be a fan. 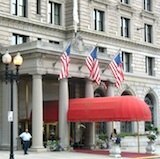 They are very popular in Boston, and you'll find numerous pick-up points around the city, including many hotels. Still another convenient and surprisingly affordable alternative to renting a car for your entire Boston visit is to use a car service, or limo service. You can request a driver to pick you up at the airport or the Black Falcon Cruise Port and drive you to your hotel. Car services are also a great choice for sightseeing around the city or being driven back to your hotel in comfort after a Boston Red Sox game at Fenway or a concert at Symphony Hall. Check limo.com to get quotes for the service you want. You can also specify whether you want a luxury sedan or town car - or a fancy stretch limo. Limos are also ideal for events outside of the city, such as a New England Patriots game or concert at Gillette Stadium, a day of power shopping at Wrentham Outlets, or a visit to Plimouth Plantation on Boston's South Shore. Reserve a Boston rental car for your entire stay only if you really need one! Otherwise, rent a car just for the hours or days when you actually need it, or use competitively priced limo services. If you only need in-town transport, consider a luxury hotel that throws this in for free may be your best choice. Once you add up what you'll save on car rental fees, taxes, insurance, and parking fees, chauffeured limo services or luxury hotel car services may turn out to be the most economical choice!